DAVID LE/Staff photo. 2/14/15. 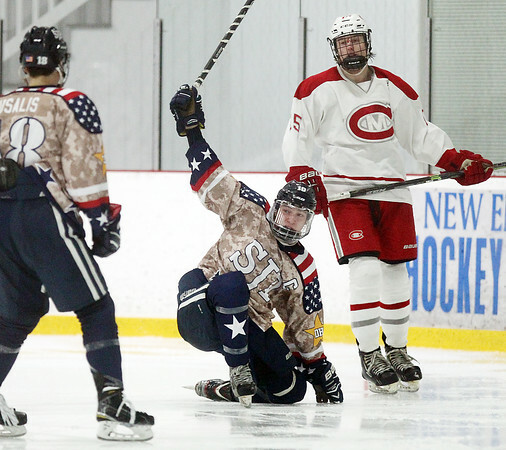 St. John's Prep senior captain Nick Latham (10) drops a a knee to celebrate his third period goal while being greeted by teammate Tim Usalis, left. Latham and the Eagles defeated Catholic Memorial 6-0 at Ristuccia Arena in Wilmington on Saturday afternoon.